Yesterday we took a look at Team Australia, the squad that will be seeking an extraordinary sixth teams title (out of a possible seven) at the ISA Worlds in China later this month. I also did some light analysis of the lineup. 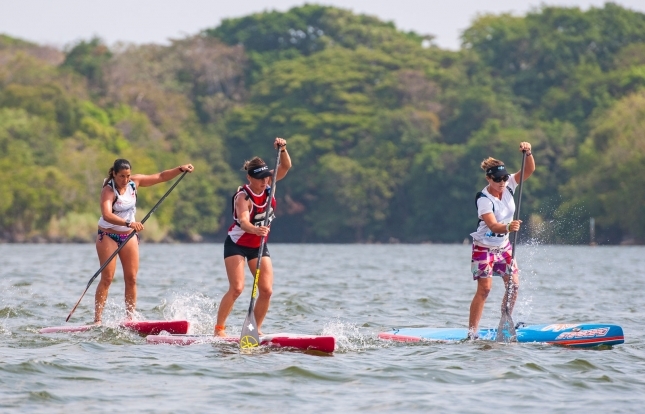 This heavy workload mirrors Shak’s epic campaign at the 2014 Worlds in Nicaragua, where the humble superstar medaled in all three events: bronze in the surfing, silver in the marathon and gold in the beach race. After Nicaragua, I posted a story titled #comebackshak to encourage the Starboard Dream Team rider and OG member of the famous Quickblade family to get back on the race board permanently. But while we couldn’t drag Shak’s focus away from surfing, I’m pretty excited to see the 2009 Battle of the Paddle champion finally back on a 12’6 (yes, the ISA Worlds is still 12’6 for some reason). 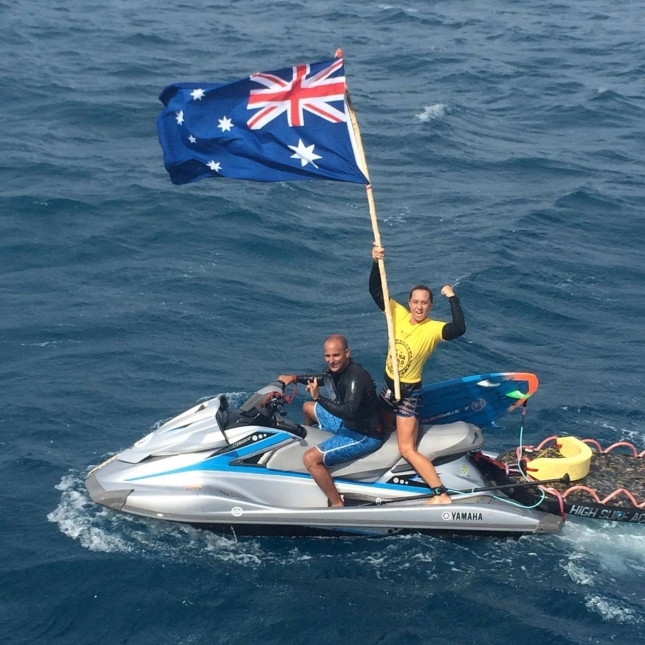 Shak epitomises the spirit of Team Australia — she’s the beating heart and helps produce the famous camaraderie that’s propelled these virtual underdogs to the top almost every single year. As mentioned yesterday, to the surprise of many paddling fans, the Australians really are the underdogs versus teams such as the French. That’s because the Aussie athletes have to pay their own way to the Worlds (despite their national federation, Surfing Australia, enjoying a multi-million budget). This contrasts starkly with the powerhouse French federation, which treats its athletes like… athletes, paying all expenses and allowing paddlers to focus on paddling instead of traveling (about the only thing the Aussies receive from their federation is some nice hats). Shak will need to help produce that special energy again in China later this month, because 2018 will be Team Australia’s toughest challenge since they were crushed by the U.S. Dream Team in 2015 (the only year Shak wasn’t given a spot on the team). This year’s Worlds will see the French start slight favourites, while the Americans have a particularly strong women’s squad. We shouldn’t expect miracles from Shakky in China — she’ll be up against six or seven of the world’s top 10 ranked women. And with long distance not exactly her favourite discipline, Shak will be looking to defend rather than attack in the marathon. But when it comes time for the beach race, and if there’s a bit of surf, look out: Shak will start one of the gold medal favourites in my opinion. I chatted with Team Australia’s spiritual leader on Facebook last night and asked if she was excited to be back on a race board. As always, Shak is pumped. “Yeaahhhhh i’m back haha. Looking forward to going to China. I’ve actually always wanted to surf this break so I’m pumped for that! The team has chopped and changed over the last few weeks, we have had a few stars and long term team Australia members have to withdraw for certain reasons but I think we have some strong up coming youngsters that are in form to fill the void! I feel we have a very strong team to retain our overall team title. Ummmmm, mixed emotions for racing again but after the initial shock of also having to do the marathon I’m pretty excited. I’ve been training hard for the last 6 weeks so feeling fit, strong and healthy. I’m gunna be a little underdone and probably not race fit but I can draw on past experiences to get me there. I have some tactics I’m gunna use too to help me out haha. Always love being part of team Australia and looking forward to welcoming our new members. We have an awesome comradeship and have amazing support for each other, and having Peasey [independent team coach Troy Pease] as the manager is epic. He plays such an important role for our team. I also took a look back through the results and realised something rather incredible: Shak has medaled every year at the ISA Worlds. Shak was also part of at least two of Australia’s gold medal-winning relay teams. The ISA Worlds will be held in Hainan, China from November 23 to December 2.